After more than thirty years of deep personal exploration of the subtle energy realms, I believe I am uniquely qualified to assist you in exploring your own deepening relationship to yourself and to your connection with the Divine, both internally and externally. Here is a little bit about myself and my experience. Yes, I am an ordained minister. Twice actually. I was first ordained in 1998 on Maui by a friend who had a non-denominational ministry she had been running for several years. She had previously asked me a couple of times if I was ready to be ordained and I had turned her down. This time though, when she asked me, my guidance gave me a big yes and so I accepted her invitation. For me, at the time, I realized that it would be a good way to remind myself who I was really working for. That is to say, to remind myself that my intention in everything I do is to assist in the raising of the conscious vibration of this beautiful planet and all of her inhabitants, especially the human ones. The second time I was ordained was at Harbin Hot Springs, the spiritual retreat and workshop center in Northern California where I lived for 28 years. Harbin has a ministerial organization that was responsible for creating and leading the many rituals and ceremonies that were held there, like summer and winter solstice, etc. I participated in a rigorous 6-month ministerial training program and was ordained as a Harbin minister about 10 years ago. I saw it as a deepening of my commitment to serve the embodiment of the Divine Presence here on Earth. During the time I lived at Harbin I accepted the opportunity to explore the many workshops and teachers that came through there. During the 28 years that I lived there, I attended over 200 different workshops in all areas of human growth and potential. I studied numerous different forms of physical and energetic healing modalities, including Massage, Shiatsu, Watsu, Chi Nei Tsang, Breathwork, and Reiki. After growing up in mainstream America, and graduating from Purdue University with two degrees in computer systems engineering and then going straight to work for AT&T, I had a spiritual awakening in 1985. Shortly thereafter I dropped out of mainstream society and on Winter Solstice 1986 I received the guidance to give away everything I owned, get in the car, and start driving. I landed about 8 months later at Harbin Hot Springs, where I lived until it was destroyed by one of the Northern California wildfires. It was right at the beginning of my time at Harbin where I rediscovered myself as a spiritual jewelry artist. 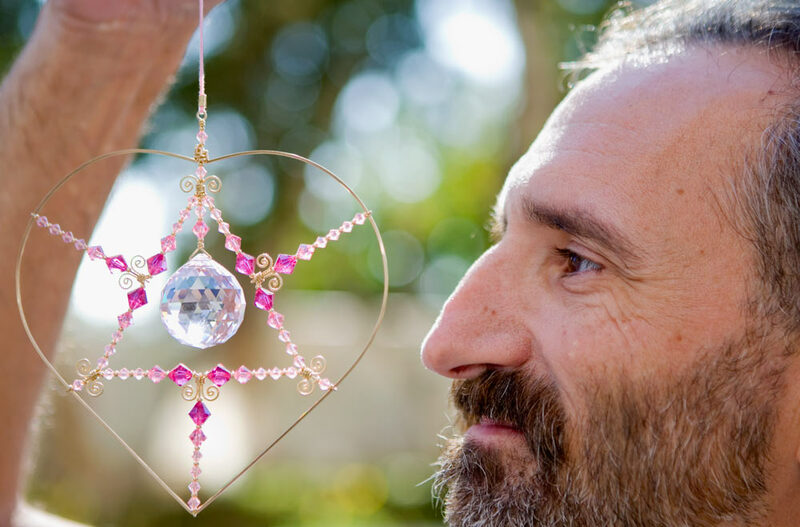 I realized pretty quickly that the jewelry and crystal mobiles that I was creating were healing tools to assist people in stepping into the fullness of what they were creating for themselves in this lifetime. I invite you to read the Reiki page on this website to learn more about the healing energy I imbue my creations with and how that work led to these tours I am offering now. If you would like to see the jewelry and crystal mobiles that I make you can visit StarchildCreations.org. Through the energetically based jewelry work I have been doing, I have learned how to sense the different subtle vibrations and healing qualities of the various gemstones I have been working with and how to feel into which stones want to be combined together into different pieces. And, how the different energetic properties of these gemstones and pieces work differently with different people. And so, between the deepening of my understanding of subtle energy through the artwork I have created, and the extensive personal studying I have done, this is why I feel thrilled to offer my service to you on your path to more fully discovering yourself through travel to some of the most spiritually potent locations on this planet. Are you ready to join me? Let’s go! Solomon has been going to Bali for 30 years. He started a Balinese import company over 22 years ago in which he designed men’s and women’s clothes, batiks, carvings and more. 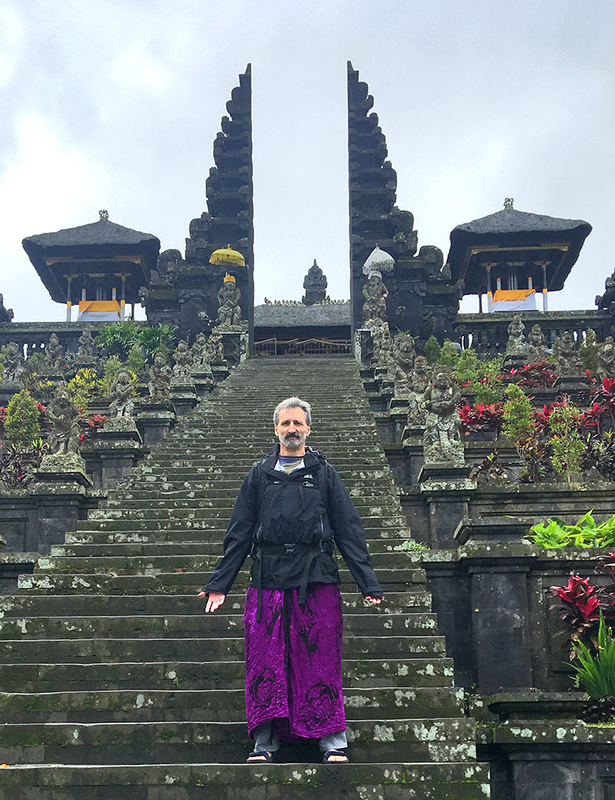 In October 2008 Solomon organized his first tour group of Bali, sharing his wealth of information and experience after many years of working, living and doing prayer ceremonies with the Balinese. His guiding is based on personal experience and sharing the natural beauty of Bali and the rich spirituality of the Balinese people. He has now been doing this for more than 10 years. Solomon bases his tours on being a pilgrim, as in one who participates, as opposed to being a tourist. He will share with us his love for the beauty of Bali’s nature, its people, and their unique form of Hinduism, which exists only in Bali. “I feel very blessed to live in the Sacred Land of Perú. 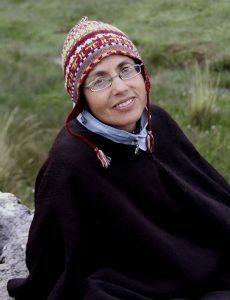 I was born in the countryside of Cusco in the heart of the Andes and since an early age, I’ve felt very much attracted to the ancient heritage I was experiencing around me every day. The profound cultural heritage present here in Perú has been always a passion to discover for me and because of that, I was visiting since quite young all the places built by the ancestors here, trying to understand and investigate what was the message they imprinted on them and the wisdom involved in their understanding of life. 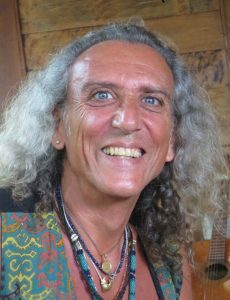 That opened the possibility of meeting many shamans, curanderos, investigators, scholars, who taught me a lot and to whom I feel very grateful. I have a permanent admiration and profound respect for the very high consciousness our ancestors had.